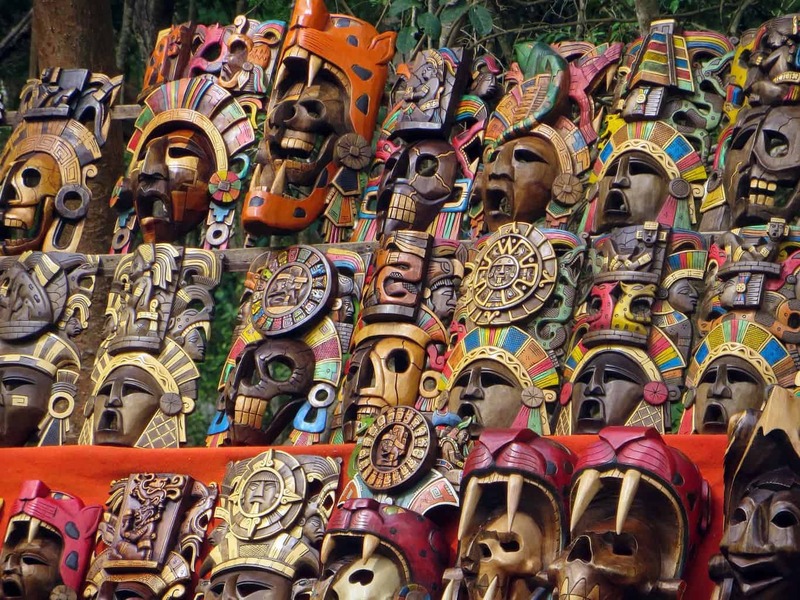 Prepare to discover amazement as you explore ancient Mayan civilisations in Mexico. 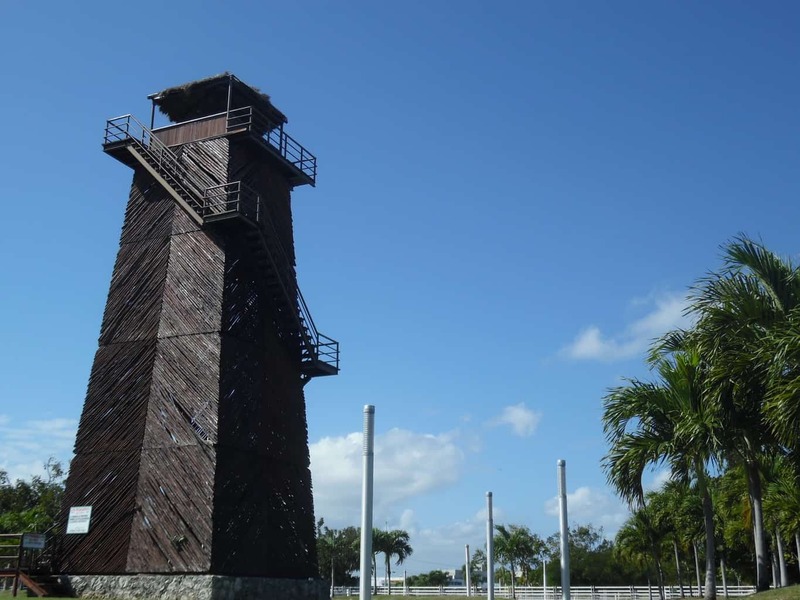 This gay group trip will take you to the Yucatan Peninsula of Mexico, where you’ll discover ruins, temples and old towns. Immerse yourself in culture, history and colour as you join us on this authentic journey into gay Mexico. You’ll begin your gay group trip by arriving in Cancun where you’ll be met by a tour representative and transferred via shuttle bus to the Riveria Maya. Enjoy some time relaxing before dinner, should you arrive early enough. Tonight we’ll have an intimate group dinner where you can get to know your fellow travellers and unwind. Fill up on a hearty breakfast this morning as we’ll be embarking on a voyage to Tulum. Today our venture into Mayan history will begin, as Tulum was one of the last Mayan cities left standing. Overlooking the Caribbean sea, this location couldn’t be more idyllic. Tour the ancient ruins and temples before enjoying lunch. We’ll then visit yet another famous Mayan site, Cobá, historically known for its vast number of inhabitants. The adventure continues this evening as we’ll be going to see Tulum’s newest (and raciest) attraction, the Rauxa Cabaret. 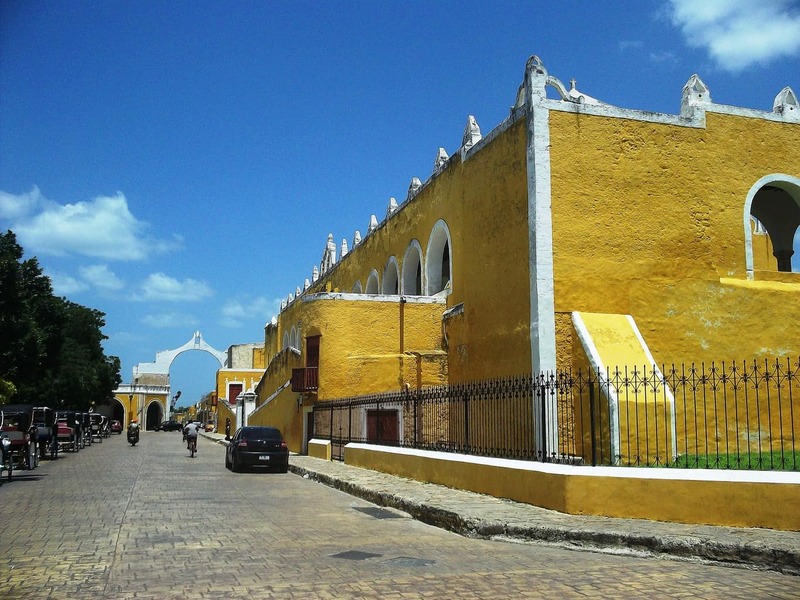 Today includes a tour of Valladolid, known as Mexico’s “magic city” due to its natural beauty and historical significance. You’ll also have the chance to see some authentic Mexican folk art before moving on to Ek Balam. 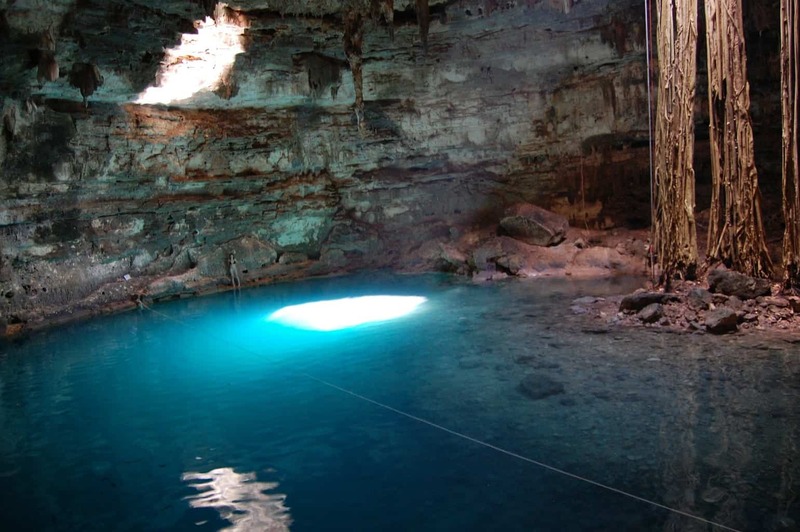 Next we’ll be heading to Grand Cenote, one of the Natural Wonders of the World. 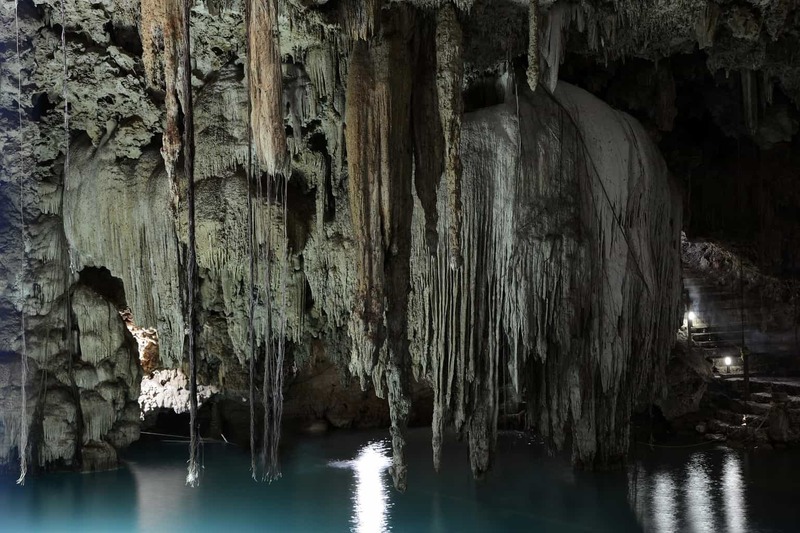 A limestone underground cavern with crystal clear waters, the Grand Cenote is the perfect place to snorkel. Finally, we’ll end our day in the state’s capital, Merida. Full of restaurants, we’ll have plenty of choice as to where to go for our evening meal. Spend the day observing the colourful architecture in Merida before exploring the city further with an afternoon tour. We’ll be visiting Merida’s own Champs Elysees, the “Paseo de Montejo”, and you’ll even get to ride on a traditional horse-drawn carriage. Enjoy the evening at your own leisure as you’ll be dining independently tonight. On your last day in Merida, use your time to explore the beautiful city further, or join us for an optional excursion. 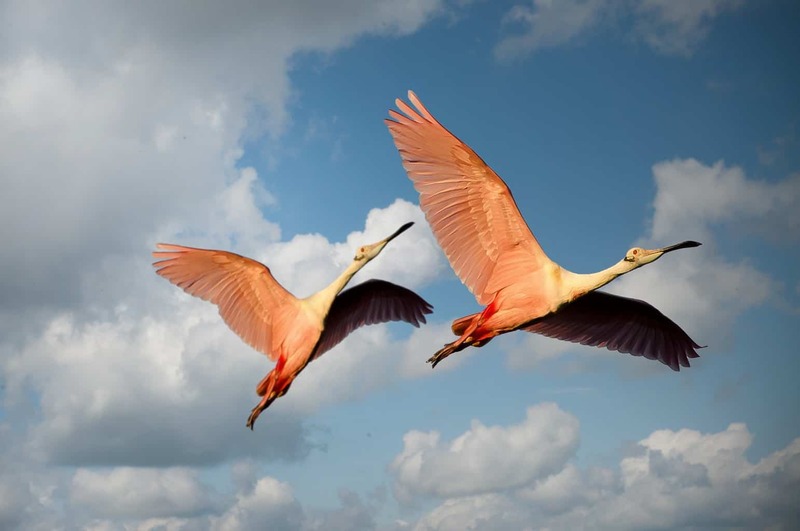 We’ll be taking a day trip to the Celestun Biosphere Reserve on the northwest coast of Yucatan. Here, you’ll find flocks of flamingos grazing in shallow pools. Tonight we’ll be bidding farewell to 2018 as we bring in the New Year with a traditional dinner as a group. 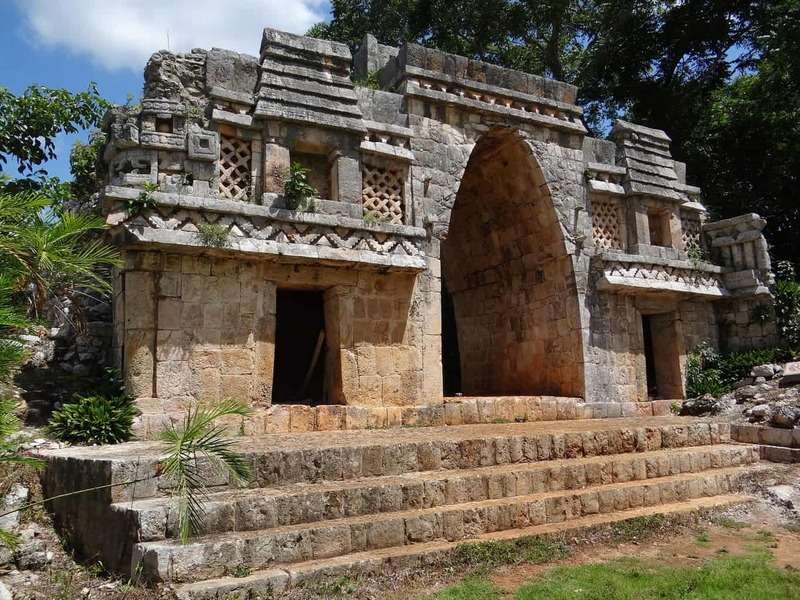 Expect an early start as we’ll be exploring the breathtaking ruins of Uxmal today. Nestled in the valley you’ll find the legendary “Pyramid of the Magician” here, as well as a huge courtyard. We’ll also be finding out more about Mexico’s vivid history as we visit a chocolate museum, which will include samples. Our private guide will then lead you to the Lol Tun Caves before spending the evening as you wish. Enjoy breakfast this morning because we’ll soon be on the move again. This time we’ll be visiting the Hacienda Sotuta de Peon, where there will be a tour of the airy Spanish home and working museum. 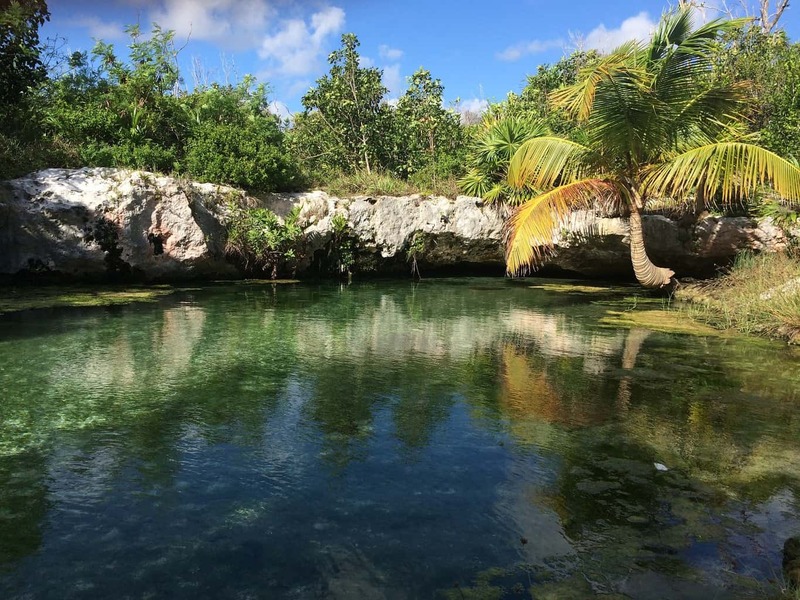 Later you can take a wagon ride to the private cenote where you can enjoy the clear waters in peace. Tonight you’ll be staying in a colourful cottage and sharing yet another delicious group meal. 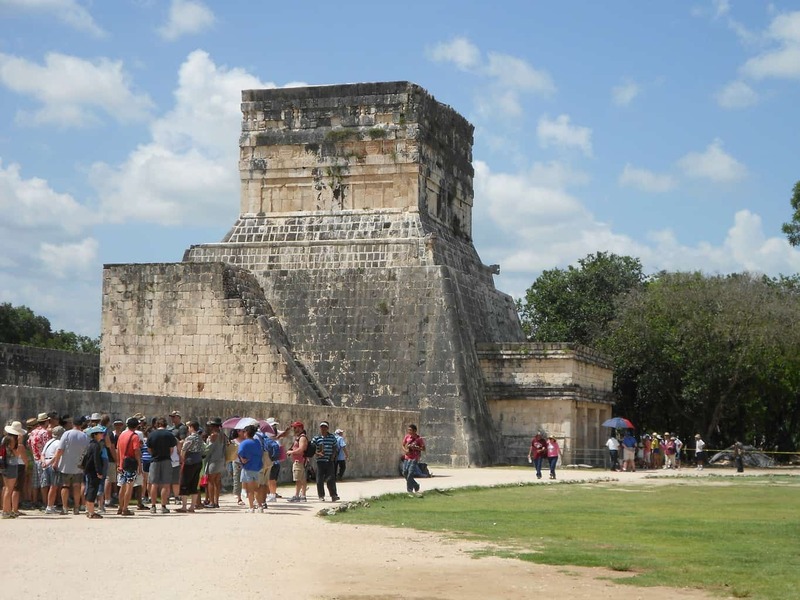 Today you’ll pass by Tecoh and Euan as we make our way to the impressive Chichen Itza site. Take in the beauty of the complex which is covered in temples and other intricate structures. Look out for local vendors from which you can purchase hand-painted pottery, textiles and even instruments. 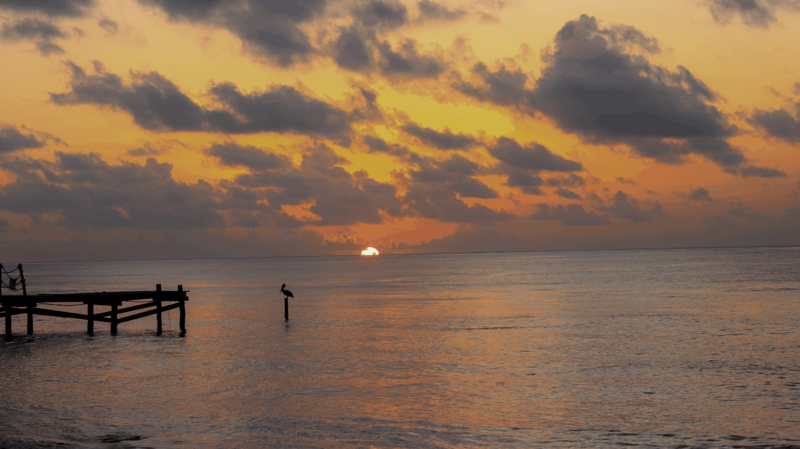 After exploring Chichen Itza we’ll drive towards Chiquila, before travelling across the blue waters to Holbox. After a short rest we’ll regroup for dinner in the evening. 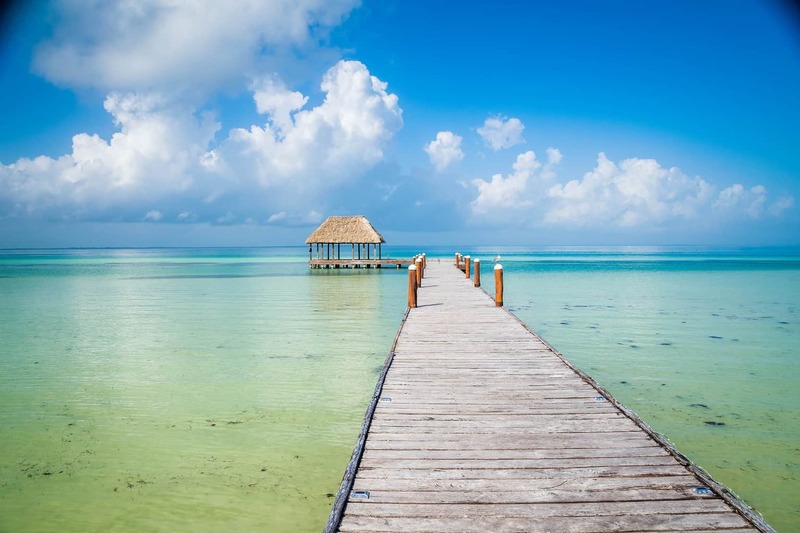 Spend your last full day relaxing on Holbox island. Here, your options are endless: lounge by the pool, shop in the town, get a massage, horse ride down the beach or rent a golf cart to explore. You’ll also have the option of participating in a snorkelling tour if you so wish. Tonight we’ll enjoy a farewell dinner as we celebrate the end of our gay group trip together. 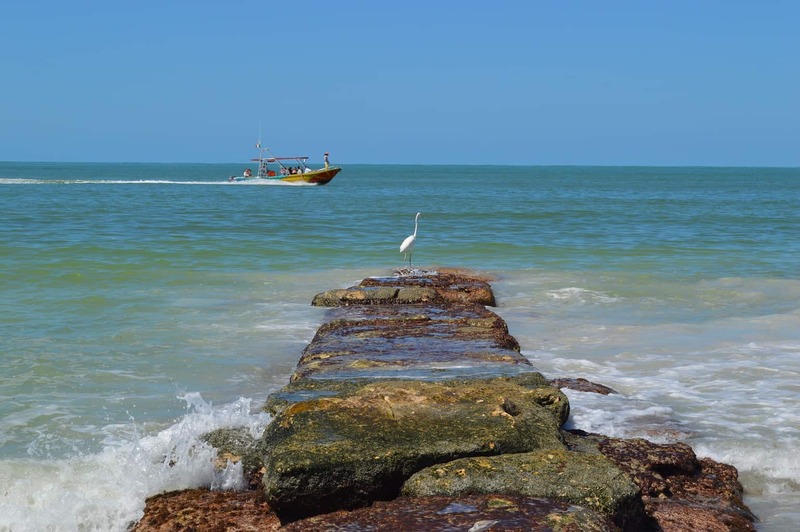 Say goodbye to the beautiful Yucatan Peninsula as you’ll be taking a ferry back to Cancun Airport to catch a return flight home.